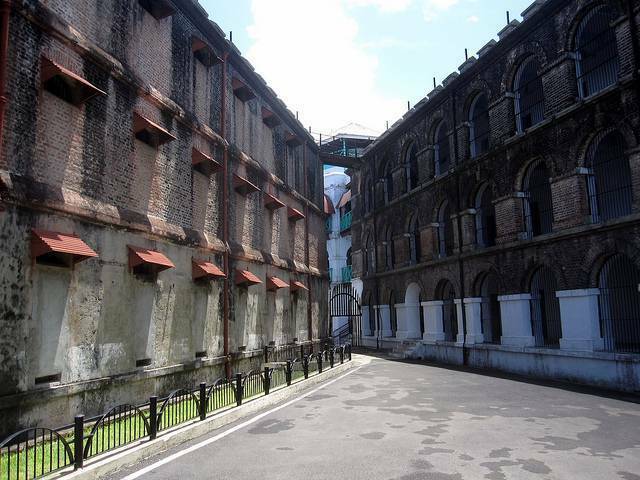 Serving as the national monument, Cellular Jail in Port Blair was once a Colonial Prison established by British. Many political prisoners were exiled to this prison during struggle for Indian Independence. The complex was constructed from 1896 till 1906. Many prisoners served as unpaid employees to British to colonize the Island. This seven winged complex was constructed using the puce bricks imported from Burma. These wings start from a centered watch tower. These wings are three storeyed and have totally 693 cells. Constructed in such a way that the spokes of cell in one wing faces the backward spoke of cells of another wing, so that the prisoners cannot communicate with each other. Many of the imprisoners were hanged and thrown into the sea with a stone tied them.